The majority of old farmland in the UK consisted of many different types of buildings and in most cases, one of these would be a good sturdy barn. Back in those days, the barns were built to last and this is the reason so many of them exist today. It must be remembered that these farms to exist had to depend on much of their livestock for doing so. Horses played an important role in fulfilling many of the tasks required to work the land, as well as for transportation. This created a need for housing the horses which were one of the main purposes of the barn. Now in today’s modern world, these old-style barns are no longer in as much demand for these original purposes. Yet their structure has allowed them to remain solid and trustworthy. 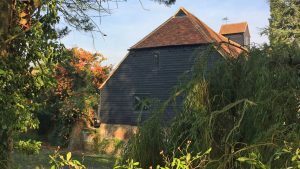 This has opened the doors for barn restoration that gives an opportunity to turn them into viable businesses like Hotels and bed and breakfasts as well as wedding and event venues. A true testament to this is one establishment comprised of a barn restoration in West Sussex. On this piece of that was at one time used for farming some of the outbuildings have been turned into guesthouses. The barn itself serves as the dining and lounge area for guests. It is situated on 250 acres and is classified as an organic farm. There are many tourists who thrive in this type of environment. They thoroughly enjoy being in a natural setting. Yet the location of this establishment being in West Sussex allows visitors the opportunities to travel a short distance and enjoy horse racing events that are held at some of the very well-known race courses in West Sussex. Rustic and barn style décor is becoming increasingly popular and so more people are taking an interested in restoring these old time capsules.